The primetime game show Moment of Truth on the Fox network takes its viewers on a thrill ride through the private lives of its contestants, who answer awkward personal questions in front of family and friends in exchange for cash prizes. Before the show starts, each participant is required to take a polygraph test to verify the truthfulness of their answers to each question. If the answer they give to a question on the show is false according to their polygraph, they go home with no money. Contestants cheerfully come clean about their darkest secrets, often to the horror of their supposed loved ones. Some of us instinctively know we shouldn’t be watching this kind of show, but morbid curiosity takes hold and forces us to watch. Perhaps the best thing that could be said about Moment of Truth is that it gives interesting insights into human behavior, although those insights are rarely comforting. Contestant Ellen replies with confidence, “absolutely” when she is asked, “If you knew you would never get caught, would you rob a bank to pay off your debts”. Brandon, who is a waiter, confides in front of a national audience that he has changed the amount on a customer’s credit card receipt to receive a bigger tip. It turns out we weren’t just being paranoid. Our fears are confirmed. Our faith in humanity is routinely crushed on Moment of Truth. Contestant Paul admits to his baffled girlfriend and parents that he keeps a spreadsheet of all the women he has slept with, numbering over a hundred. Would you give food to a stray dog before you would give it to a homeless person? Have you ever derived pleasure when one of your siblings got into trouble? Have you ever been fired from a job for stealing money? Have you ever taken off your wedding ring to appear single? 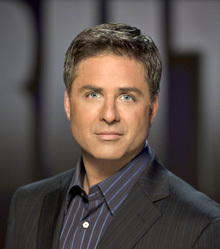 Riding grimly on this apocalyptic beast of a game show is host Mark L. Walberg. He defended the show’s infamous reputation in a recent TV guide interview: “Quite honestly, the ‘wrecking-your-family,’ evildoing rap we get, I think it’s crap.” The first time I watched the show Walberg’s face seemed immediately familiar. Then a stunned realization hit me. This man was also the host of Antiques Roadshow on PBS, a show as different from Moment of Truth as could be imagined. (See my previous post for more on Antiques Roadshow). So what has happened to Mr. Walberg? We had assumed that as a host of a PBS program he was a force for good in the world. He seems to have entered into a simultaneous incarnation as a force for all that is wrong with television. It also appears that Moment of Truth is not his first foray into the world of sleazy reality TV. A look at his Antiques Roadshow bio page reveals that he was also the host of Temptation Island. Still, we know there is a side of the conflicted MC that longs for respectability. The same bio also states that the happily married Walberg is the coach of his two children’s little league teams. The two versions of our host have apparently become locked in a death struggle to determine the future of television and possibly the solar system as we know it. What will determine the outcome? If he is replaced with a different host on Roadshow, and remains on Truth, he will be lost to the dark side. If he remains as a fixture on PBS, and can leave behind the temptations of big-money reality TV, he may once again become a force for good in the world. The odds may seem insurmountable, as in Luke Skywalker’s one man attack on the Deathstar, but each one of us can us influence the outcome with the force of our remotes, and turn off stupid trash like Moment of Truth. Life is a war between two opposing forces: people who collect lots of junk, and people who throw junk away. Those of us who save our stuff view those who don’t as cold and unfeeling, lacking in sentimentality. To justify ourselves we claim that our old Star Wars figurines, magazines and broken appliances might be worth something on eBay. Beaten down and weary from our struggle, we were starting to lose hope. But what’s that in the distance? Could it be something riding to our rescue? Yes! It’s Antiques Roadshow, the PBS production that travels to different US cities so that viewers can bring in their old antiques, collectibles, and junk to be appraised by the show’s team of experts. This ingenious program allows the clutter bugs to fight back against the neat freaks, and say things like, “honey, the old rug they almost threw away turned out to be worth half a million dollars!” As a fellow junk hoarder, it’s hard not to share the joy when participants hit the jackpot. Interesting items of the past have included: A collection of puzzles, games, and cutouts from the backs of 1930’s cereal boxes appraised at $3500; a confederate punch bowl; a napkin with an Andy Warhol doodle valued at $25,000; a painting worth big bucks found in somebody’s attic; an early edition of the book The Picture of Dorian Gray worth $10,000; and a creepy ceramic jug with a face on it. 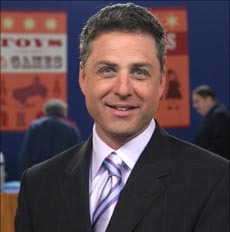 The host of Antiques Roadshow is the cheerful Mark L. Walberg (no, not the guy from Marky Mark and the Funky Bunch), who introduces the show at the beginning, and does informative segments later in the program. Walberg is clean cut and likable, but there’s something strange about him that I can’t put my finger on. He seems like he might be more at home selling cars, or hosting a game show of some kind. I’ll bet he secretly wants to throw away everyone’s junk. No, wait….that was just wrong, I didn’t mean it. We should give Walberg a chance. 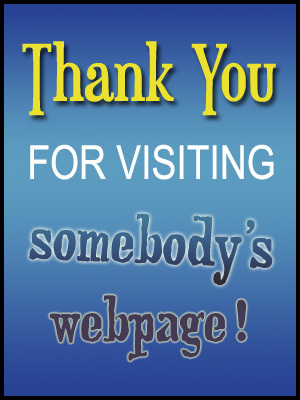 He’s as earnest as a Jehovah’s Witness, the kind of guy who would help little old ladies across the street. After all, he’s a perfect fit for Antiques Roadshow, the most inoffensive program you can watch with the possible exception of old John Denver Christmas specials.